HP introduced its "Moonshot" software-defined servers promising up to 89 percent less energy usage, 80 percent less space and costing 77 percent less, compared to traditional servers. The new HP Moonshot system, which is aimed at mega data centers, represents the second-generation server from HP’s Project Moonshot. 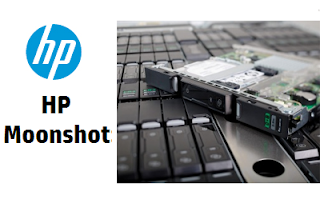 The HP Moonshot system consists of the HP Moonshot 1500 enclosure and application-optimized HP ProLiant Moonshot servers. The servers will use a variety of new processors from multiple HP partners, each targeting a specific workload. A key part of the Moonshot design is that each chassis shares traditional components including the fabric, HP Integrated Lights-Out (iLo) management, power supply and cooling fans. These shared components reduce complexity as well as add to the reduction in energy use and space. The first HP ProLiant Moonshot server is available with the Intel Atom S1200 processor and supports web-hosting workloads. HP Moonshot 1500, a 4.3u server enclosure, is fully equipped with 45 Intel-based servers, one network switch and supporting components. Future HP ProLiant Moonshot servers will use chips from AMD, AppliedMicro, Calxeda, Intel and Texas Instruments. HP is already using Moonshot servers to support its hp.com website, which receives approximately 3 million visits per day. A new OpenDaylight Projectbacked by leading network technology providers aims to ensure an open source framework for Software-Defined Networking (SDN). Founding members include Big Switch Networks, Brocade, Cisco, Citrix, IBM, Juniper Networks, Microsoft, NEC, Red Hat and VMware. The project is organized by The Linux Foundation. The OpenDaylight Project said it is committed to furthering adoption of SDN as well as accelerating innovation on top of the platform in new and differentiated ways in a vendor-neutral and open environment where anyone can participate based on the merit of their contributions. The expansion of data centers and rise of cloud computing in the enterprise coupled with rapidly changing demands on service provider networks is driving companies to look to software-defined solutions to help improve network performance and management, lower costs and increase efficiencies. SDN can enable organizations to achieve these goals through speedy delivery of new cloud, big data, social business and mobile services. 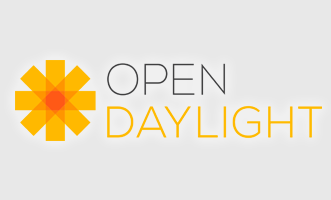 OpenDaylight will work to provide an open source platform for products and technologies that expand the intelligence of underlying network infrastructure to make it more responsive to overall IT and service provider demands. Arista Networks will contribute software and architectural expertise in building large-scale cloud environments to the OpenDaylight Project. Big Switch Networks is planning to contribute open source elements of its Open SDN Suite to the OpenDaylight Project, including controller code, advanced data store with high availability, distributed virtual routing service applications, network virtualization, network overlays, and other applications. Brocade has submitted proposals and is working with the community to contribute technologies to provide elastic, on demand services that span the data center and range from storage networking, Ethernet fabric, virtual routing and Layer 4-7 services. Cisco has contributed controller technology to the Project including an Application Framework and Service Abstraction Layer (SAL). This provides basic controller functionality with support for southbound plug-ins to communicate with network devices using various protocols including OpenFlow, the ability to integrate controller applications as modules, and a set of REST APIs that expose the controller capabilities. Citrix will contribute an application controller that integrates Layer 4-7 network services for enabling application awareness and comprehensive control into the OpenDaylight Project. This will help simplify network administration by enabling a prescriptive, app-driven approach for defining networking policy and topology and automating network configuration. Citrix has also committed to contributing a plug-in for OpenDaylight into the Apache CloudStack project. IBM intends to submit an open source version of its Distributed Overlay Virtual Ethernet (DOVE) technology as its initial contribution. DOVE is designed to work on top of existing network infrastructures to help simplify the process of setting up, managing and scaling virtual networks for faster and more flexible delivery of cloud, analytics, mobile and social business services. Juniper Networks has proposed to contribute a number of technical elements including XMPP client and server protocol code and a flexible data model to extend and enhance the OpenDaylight Project. Juniper sees OpenDaylight as a valuable means for its customers to get access to a wide range of high-quality SDN functionality. NEC intends to propose its Virtual Tenant Networking (VTN) model and application in Q2 of 2013, which enables users to create and manage multi-tenant virtual networks. PLUMgrid will contribute in the area of Virtual Network Infrastructure, including technology and innovative ideas on creating a more flexible framework for network application and services development. Red Hat is excited to participate in the OpenDaylight Project community to openly build and deliver an SDN solution integrated with OpenStack, Linux and KVM. 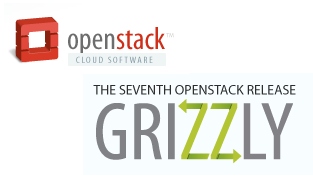 Last week, the OpenStack community released Grizzly -- the seventh release of its open source software for building public, private, and hybrid clouds. OpenStack Block Storage – The second full release of OpenStack Block Storage delivers a full storage service for managing heterogeneous storage environments from a centralized access point. A new intelligent scheduler allows cloud end users to allocate storage based on the workload. There are also new drivers for a diverse selection of backend storage devices, including Ceph/RBD, Coraid, EMC, Hewlett-Packard, Huawei, IBM, NetApp, Red Hat/Gluster, SolidFire and Zadara. OpenStack Networking – The Grizzly network-as-a-service platform adds support for Big Switch, Hyper-V, PlumGrid, Brocade and Midonet to complement the existing support for Open vSwitch, Cisco UCS/Nexus, Linux Bridge, Nicira, Ryu OpenFlow, and NEC OpenFlow. OpenStack Networking achieves greater scale and higher availability by distributing L3/L4 and dynamic host configuration protocol (DHCP) services across multiple servers. A new load-balancing-as-a-service (LBaaS) framework and API lays the groundwork for further innovation from the broad base of networking companies already integrating with OpenStack. 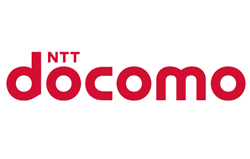 NTT DOCOMO has developed cloud server management software that shortens the service response time of cloud services by up to 50%. DOCOMO said its source code has been provided to the OpenStack Foundation and is a standard feature of Grizzly, the new version of the OpenStack cloud platform. Depending on service usage conditions, the cloud platform can be switched between virtual and physical servers. Software conventionally used for virtual server control can be used with physical servers without altering the software, thanks to compatibility with the OpenStack application programming interface (API) for virtual servers. Up to several hundred physical servers can be managed through OpenStack scalability. Operating systems can be simultaneously installed and updated on multiple servers. 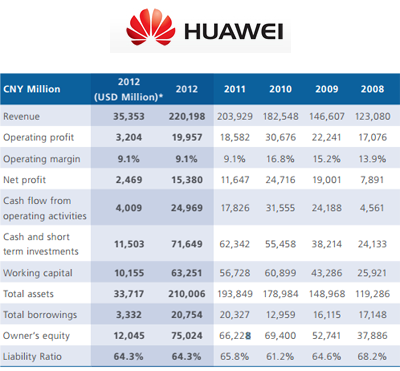 Huawei reported 2012 annual revenue of CNY220.2 billion (US$35.35 billion), up 8% for year and ahead of its peers. Net profit for 2012 amounted to CNY15.38 billion (US$2.47 billion). 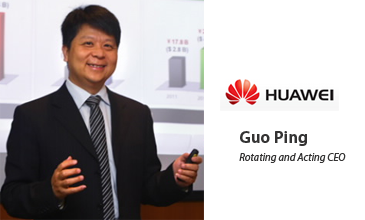 Guo Pin, Huawei's current CEO, said "the demand for communications is not closely related to economic cycles and is only moderately impacted by the financial crisis." 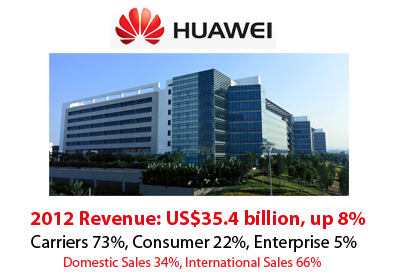 Despite turbulent conditions in many markets, Huawei managed to increase its overall revenue. More than 150,000 employess, including over 70,000 product and solution R&D employees. The company now has 16 R&D centers around the world. In his opening letter, Ren Zhengfei discusses employee motivation at Huawei and the company's principle of deriving all compensation exclusively from salaries, incentives and bonuses. No income outside Huawei is allowed. Sales from the Chinese market totaled CNY73,579 million, an increase of 12.2% year-on-year. Sales from Europe, the Middle East, and Africa (EMEA), amounted to CNY77,414 million, up 6.1% year-on-year. Sales for the Americas, amounted to CNY31,846 million, an increase of 4.3% year-on-year. The company cited growth in infrastructure networks across Latin America, and in the consumer business in North America. The Carrier Network BG continued to maintain modest growth, while the Enterprise BG and the Consumer BG began to gather momentum. Of particular note, sales of the Consumer BG grew by more than 30%. In 2012, the sales of Huawei’s middle-range and high-end flagship smartphones, such as the Ascend P1, Ascend D1 Quad, and Honor, soared in developed countries. Sales revenue from wireless network equipment totaled CNY49,837 million in 2012. Sales revenue from fixed network equipment totaled CNY48,452 million in 2012. Huawei now supplies routers to more than 20 mainstream carriers in Europe. Huawei has been awarded more than fifty 100G commercial contracts. In 2012, revenue from Global Services amounted to CNY42,913 million. Sales revenue in Huawei’s carrier software and core network business totaled CNY18,891 million in 2012. Huawei has deployed 143 IMS networks, making it one of the leading players in this field. In 2012, Huawei’s enterprise business generated sales of CNY11,530 million, a year-on-year increase of 25.8%. Huawei is paying about US$300 million in patent royalties per year to other companies. Huawei’s R&D expenses totaled CNY30,090 million in 2012, accounting for 13.7% of the company’s annual revenue. KPMG served as independent auditor for the report. 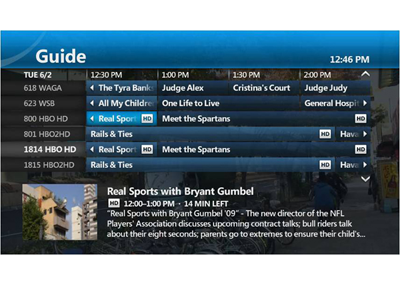 Ericsson will acquire Microsoft's Mediaroom IPTV business. Microsoft Mediaroom is used by many leading IPTV service providers, including AT&T U-verse, Entertain of Deutsche Telekom, Telefonica, TELUS Optik TV and Swisscom. Mediaroom-powered TV services are offered on more than 22 million set top boxes deployed throughout the Americas, EMEA and APAC. Microsoft's Mediaroom business unit is based in Mountain View, California and employs more than 400 people worldwide. The group will be incorporated into Ericsson's Business Unit Support Solutions. Texas Instruments is offering a pre-production H.265 video codec optimized for its TMS320C6678 KeyStone-based multicore digital signal processor (DSP). H.265, which is designed to take advantage of parallel processing, uses up to 50 percent less bandwidth, or two times compression, over the current H.264 standard while providing the same video quality. The TI chip provides eight 1.25 GHz DSP cores capable of delivering 320 GMACs and 160 GFLOPs of combined fixed- and floating-point performance. TI said its software-based implementation of the H.265 standard provides flexibility and scalability in developing real-time video infrastructure equipment such as multimedia gateways, IMS media servers, video conferencing servers and video broadcast equipment. Altera is demonstrating the industry's first 20nm programmable device with 32-Gbps transceiver capabilities. The device is based on TSMC's 20SoC process technology. 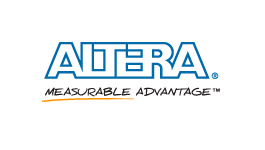 Altera said its demo validates the performance capabilities of 20 nm silicon. The transceiver technology will be integrated into Altera's 20 nm FPGA products, fabricated on TSMC's 20SoC process. These devices enable customers to design next-generation serial links with the lowest power consumption, fastest timing closure and the highest quality signal integrity. Altera is currently shipping 28 nm FPGAs with monolithically integrated low-power transceivers operating at 28 Gbps. Alcatel-Lucent announced VDSL2 vectoring trials with China Telecom and Tunisie Telecom. Both tests achieved downstream speeds of 100Mbps. The trial with China Telecom, which remains the biggest investor in fiber optical networking in the country, used Alcatel-Lucent’s ISAM-based end-to-end System Level Vectoring solution connected to China Telecom’s broadband access network. It includes the 7302 ISAM and G.vector customer premises equipment. Alcatel-Lucent said its VDSL2 vectoring complements China Telecom’s national fiber optic data network currently being deployed by Alcatel-Lucent Shanghai Bell. Alcatel-Lucent noted that its VSL2 vectoring solution now has 11 commercial customers and more than 40 trials with carriers around the world. AT&T introduced a new service platform that helps businesses create mobile QR barcodes within a variety of media. 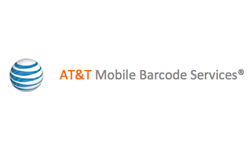 AT&T Mobile Barcode Services, which is powered by Scanbuy's ScanLife application, enables creative campaigns with codes that can help trigger actions such as link to a video, prompt a phone call, or generate an email. The AT&T Code Scanner comes pre-installed on new AT&T mobile devices and is also available for consumers to download at most mobile storefronts. Scanbuy's ScanLife application is installed on over 67 million mobile phones around the world. Citing delayed sales, Ceragon announced that its Q1 revenues will be in the range of $89 million to $91 million, below the company's guidance of $95 million to $105 million. GAAP EPS is now expected to be in the range of $(0.36) to $(0.39). EPS on a non-GAAP basis is expected to be in the range of $(0.15) to $(0.18). "Our revenues will not reach the low end of our guidance for the first quarter of 2013 because it is taking longer than we expected to close certain deals," said Ira Palti, President and CEO of Ceragon: "We experienced a level of bookings in Q1 lower than we would have expected based on seasonal weakness, reflecting operators' cautious approach, despite the need for additional capacity. "We expect the re-evaluation of some aspects of customers' business models, as well as continued intense budget scrutiny, to cause longer sales cycles to persist, even though Q2 bookings are likely to show some improvement for seasonal reasons. We will provide more color during our regularly scheduled quarterly call on May 6th." The European Commercial Internet Exchange (ECIX) has opened a 100GE Internet Exchange in Frankfurt, providing an alternative to DE-CIX, the world's largest Internet Exchange and which is also based in Frankfurt. ECIX's new Frankfurt Internet Exchange will offer standard connectivity to 100GE, 10GE and 1GE ports with all services available at existing ECIX sites. The new Exchange Point is available at the ancotel (an Equinix subsidiary) and Interxion Datacenter Campus. "With heavy traffic volume moving through Frankfurt, an advanced Internet Exchange was required to keep up with the momentum of new technologies," states Stefan Wahl, CEO of ECIX and Peering GmbH. "Our new 100GE Internet Exchange will provide alternative connectivity options for the largest IP capitals in Europe. ECIX will continue expanding into markets that have a strong need for exchange options and we are dedicated to deploying the latest technologies in these facilities." ECIX is operated by Peering GmbH, an organization, with Internet Exchanges in Berlin, Hamburg, Düsseldorf and Amsterdam.